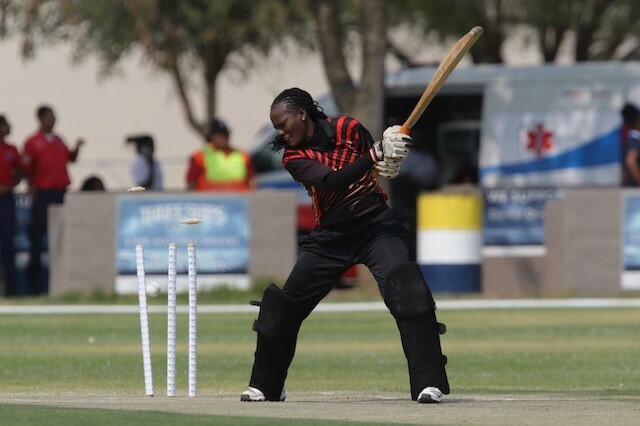 Uganda and Kenya got off to winning starts with comfortable victories against Namibia and Tanzania respectively on the opening day of the ICC Women’s World Cup T20 Africa Qualifiers in Windhoek on Friday. In the morning match, Uganda beat Namibia by 21 runs, while Kenya beat Tanzania by two wickets in the afternoon. Namibia won the toss and elected to field against Uganda and their decision paid off as Uganda lost regular wickets up front. 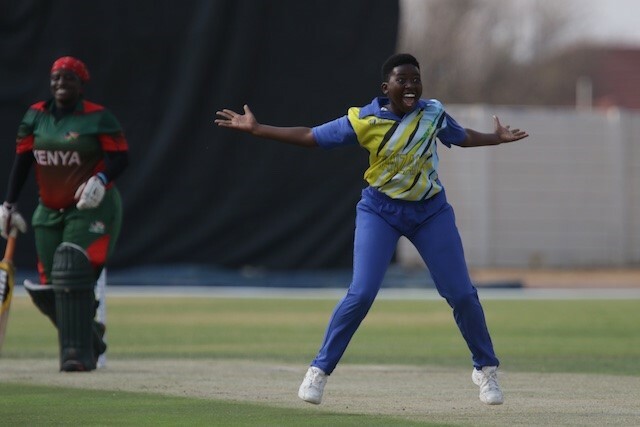 Namibian captain Petro Enright dismissed Saidati Kemigisha (7) and Racheal Ntono (1), and when Immaculate Nakisuuyi (5) and Naome Bagenda 2) also went cheaply, Uganda were struggling at 32/4 after 9 overs. Getrude Candiru and Franklin Najjumba, however, revived Uganda’s innings with a 60-run partnership for the fifth wicket, before Enright bowled Najjumba for 22 with the total on 92. 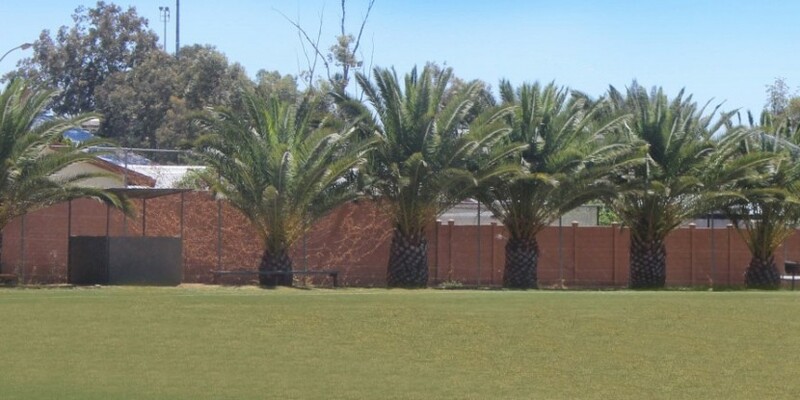 Candiru kept the runs flowing and was eventually bowled by Enright in the final over for 40 off 41 balls as Uganda posted a respectable total of 97/7 off their 20 overs. 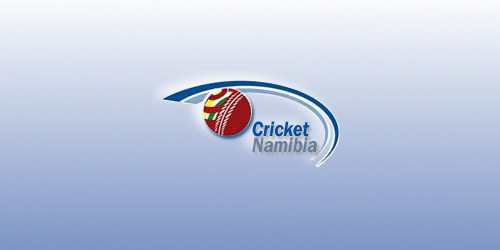 Enright was Namibia’s stand-out bowler, with excellent figures of five wickets for 18 runs off 4 overs, while Sune Wittmann and Irene van Zyl took one wicket each. 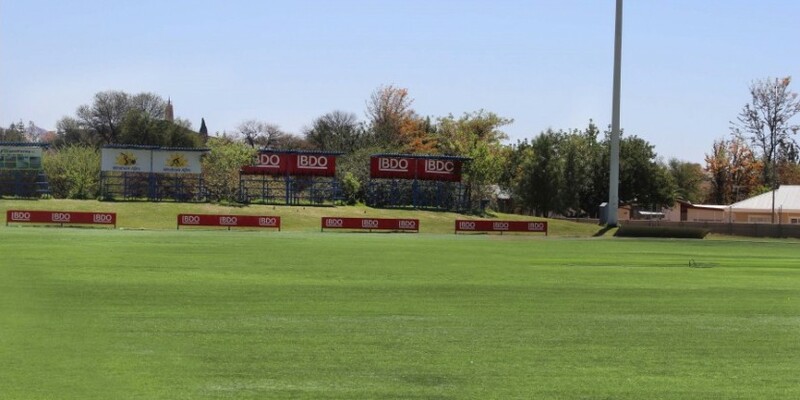 Namibia’s run chase got off to a poor start when Anneri van Schoor was out for a duck after only 3 balls, while Enright soon followed for 6 with the total on 12. 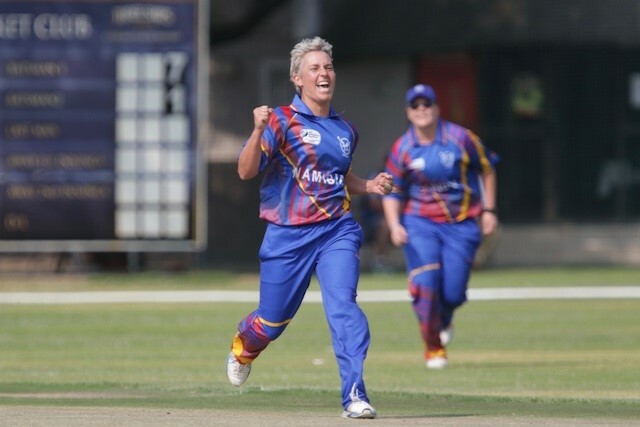 Adri van der Merwe (16) and Yasmeen Khan (10) led Namibia’s revival with a 25-run partnership, but it was slow going against some tight Ugandan bowling and when Van der Merwe was out, Namibia were 37/3 off 10,2 overs. 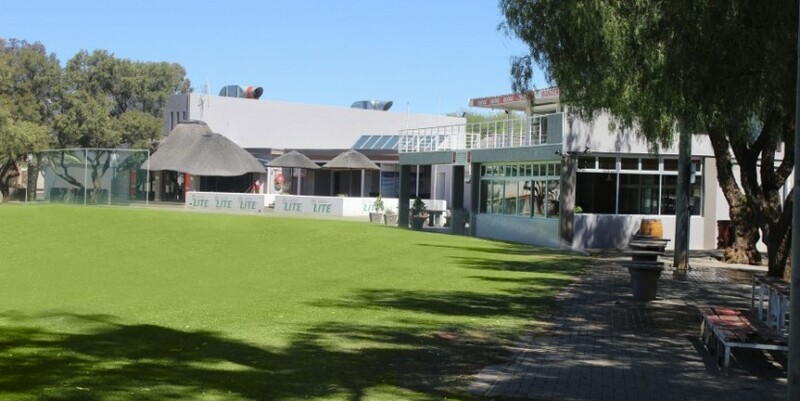 Irene van Zyl gave Namibia hope with 22 runs off 20 balls further down the order, while Kayleen Green added 9 not out, but they never got close to the target and could only muster 76/8 off their 20 overs. Candiru was Uganda’s top bowler with 3/16 off 4 overs, while Joyce Apio and Najjumba took two wickets each. Najjumba won the player of the match award for a fine all-round performance of 22 runs with the bat and 2/16 with the ball. 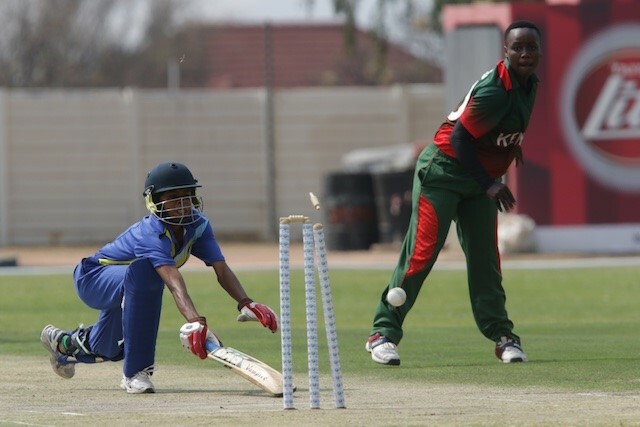 In the afternoon match, Kenya beat Tanzania by two wickets in another low scoring match. 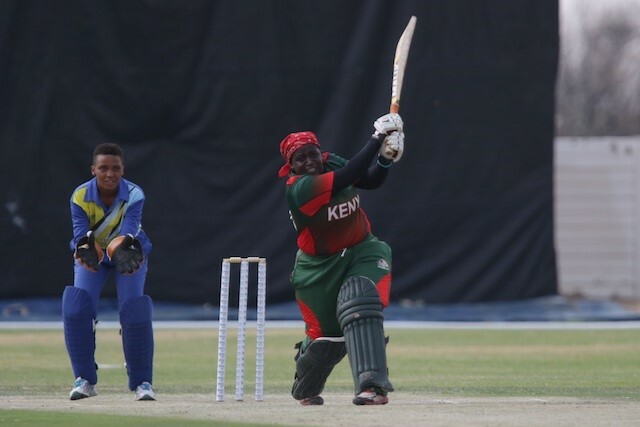 Sent in to bat, Tanzania scored 87/3, but although Kenya regularly lost wickets, the target was always within reach as they made 88/8 with an over to spare. 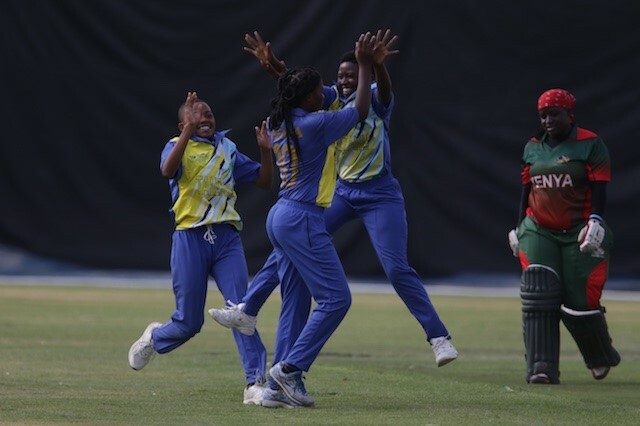 In Tanzania’s innings, Monica Pascal went early for a duck, but Neema Pius joined Fatuma Kibasu to put on 57 runs for the second wicket. 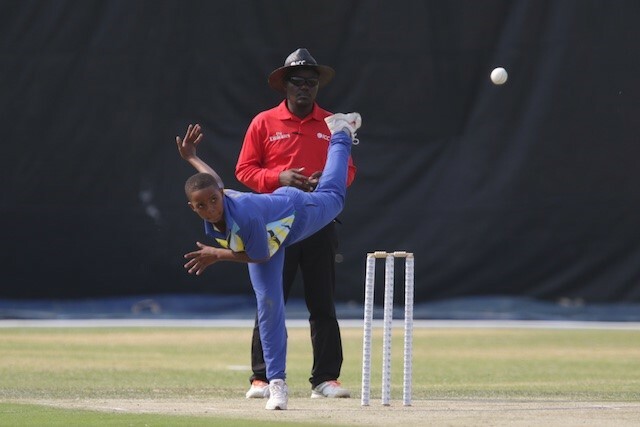 It was slow going though and when Pius was run out for 14 (off 43 balls), Tanzania were 67/2 with 3 overs to go. Kibasu however remained not out on 48 off 62 balls (5×4) as Tanzania reached 87/3 off 20 overs. Kenya’s run chase got pegged back by some excellent fielding with three run outs, while they lost wickets regularly, but they were always ahead of the run rate. Opener Queentor Abel scored 13, Margaret Ngoche scored 25 off 19 balls (5×4), while Sarah Wetoto added 21 off 20 (2×4 and one towering six) to put them in charge. 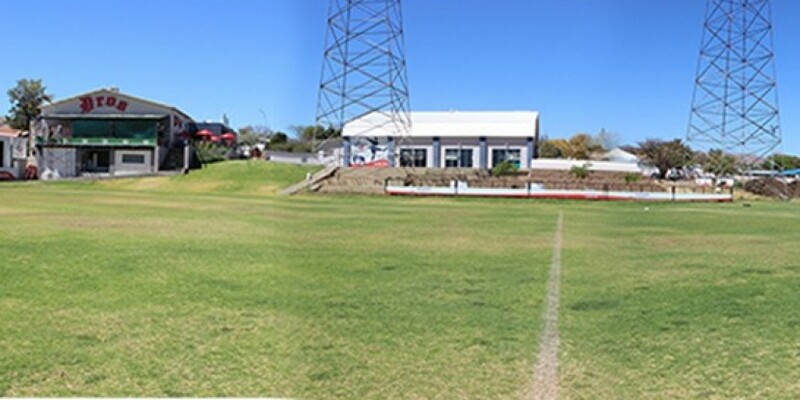 At the halfway mark they were already at 60/4 and eventually reached 88/8 off 19 overs.